Different cancers are treated in different ways. When deciding treatment, doctors will take into account a patient’s general health as well as the stage the cancer is in. There are six main types of treatment for cancer. It is fairly common for a patient to undergo a combination of cancer treatments to get the best results. Surgery is a common treatment for many cancers. It involves cutting away the effected body tissue or cancerous tumour. Surgery is usually performed if the cancer is in one area of the body. In rare cases, surgery can be performed if the cancer has spread to another area. 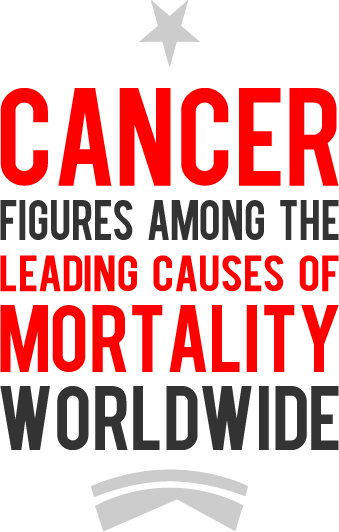 However, this is less common because if a cancer has spread surgery usually cannot cure it. The type of surgery a patient has will depend on the type of cancer they have; the affected area of the body; as well as the size and position. Radiotherapy treatment is when high energy x-ray beams (radiation) are used to destroy cancer cells. Radiotherapy is very carefully planned and beams are only aimed at the affected area of the body to prevent healthy cells from being harmed. It can cause long-term and short-term side effects which will vary depending on the part of the body that is being treated. Most side effects are temporary and can be treated with medicine. Chemotherapy has side effects. These will depend on which drug(s) is used. There are now very good ways of preventing or reducing the side effects of chemotherapy. Hormones are natural substances our body (the endocrine system) produces. Hormones carry messages throughout the body but they also have other functions like effecting the growth and function of cells and organs. Some cancer cells also need hormones to grow. To prevent this, hormone therapy works by altering the production of a certain type(s) of hormone in the body. When hormones are reduced or prevented from attaching to the cancer cells, the cancer can be controlled. Monoclonal antibodies, which can be designed to find cancer cells and destroy them. Cancer growth inhibitors, which prevent cancer cells from using hormones that help them grow. Angiogenesis inhibitors, which prevent the development of blood vessels that feed tumours. Vaccines and gene therapy are still in development. Researchers are trying develop vaccines that could cure cancer which has spread or come back. Some types of cancer grow very slowly and may not cause problems for many years. In this type of situation a patient won’t need to have any treatment for some time. Nonetheless, doctors will continue to monitor the patient closely,so that if the cancer does start to grow, they can begin treatment at that time.